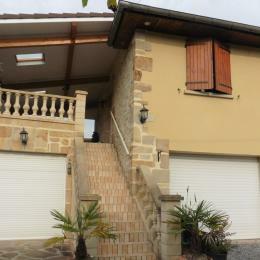 3-room flat (65m²) on 1st floor of house on 2 levels, in countryside in peacefull settings. 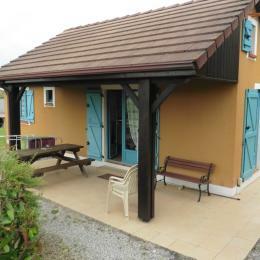 Close to hiking and biking routes, 8km from Sauveterre de Béarn and activities (shops, rafting, tennis, fishing …). Gd floor: sitting/living room with TV, kitchen area + WC. 1st floor: 1 room with 1double bed + 1 single bed, 1 room with 1 double bed + TV. Cot & baby equipment. Covered terrace with deck-chairs + summer kitchen + barbecue. Garden, table tennis, private parking space. Sheets supplied. Clévacances guarantees the quality of this accommodation, which has been inspected by one of our staff. Publication of notices is subject to a moderator. Warning ! Red fields are missing. I agree for my email address being used by the Clévacances network.